Obituary for Vickie (David) Writz | Peterson Kraemer Funeral Homes & Crematory Inc.
Vickie Writz, 66, Athens, passed away on Sunday, March 24, 2019 at Marshfield Medical Center. She was born November 3, 1952 in Milwaukee, daughter of the late Wesley Jr. and Evelyn (Wirth) David. On October 3, 1970, she married David Writz at St. Anthony Catholic Church in Athens. For over 40 years, Vickie worked for Weyerhaeuser Marshfield Door/Masonite Architectural in Marshfield, until her retirement. 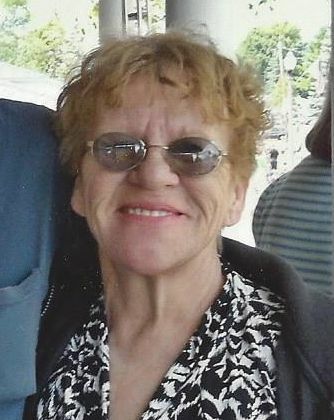 Among her favorite pastimes, she enjoyed camping and being outdoors, and especially loved spending time with her family. She was a devoted and loving wife, mother, grandma and great-grandma. Survivors include, her husband, David Writz, Athens; three daughters, Cindy (Todd) Frahm, Athens, Stacey (Greg) Metz, Merrill and Dawn Aurner, Grand Rapids, MI; seven grandchildren, Taylor and Tannor Frahm, Bradley and Kelsey Metz, William and Erika Aurner and Alex Writz; and one great-granddaughter, Sophie. Visitation will be on Thursday, March 28, 2019 from 5:00 until 7:00 p.m. at Peterson/Kraemer Funeral Home, Athens, with services to follow at 7:00 p.m. at the funeral home.